New York, NY—February 13, 2019 | Concord Music Publishing, the world’s leading independent music publisher, has confirmed a new exclusive publishing agreement with songwriter/producer/artist Mike Ness, founder of legendary L.A. punk outfit Social Distortion. The new deal covers Ness’ career, past and present, including all Social Distortion releases as well as Mike’s extensive solo work. Formed in 1979 in Fullerton, California, Social Distortion made their debut just as L.A.’s storied punk rock movement was having its chaotic first wave. A staple of the west coast underground club scene, the band would release their first record (“Mommy’s Little Monster”) in 1983 to national acclaim. The group’s commercial breakthrough came with their 1990 eponymous release – and Social Distortion’s first for Epic Records – which spawned the hit singles “Ball and Chain,” “Story of My Life” and “Let it Be Me.” Several Social D and Ness solo records followed, as did endless worldwide touring, cementing their reputation as one of the most enduring and popular California bands of their era. 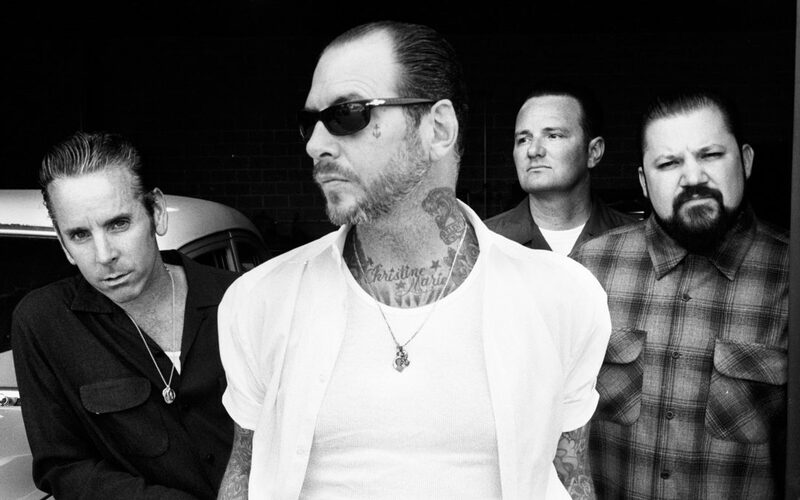 Social Distortion are heading into the studio to work on their next album, to be released by Epitaph Records; Craft Recordings – who represent the band’s earliest releases, as well as Ness’ solo records – is working on various archival releases for later this year. Social Distortion are considered one of the best-selling punk rock bands of all time, with more than five million albums sold worldwide. 2019 marks their 40th anniversary and finds Ness and crew as vital as ever; year-long earmarks are planned to celebrate this milestone and their influence. Concord Recorded Music: Concord Recorded Music is comprised of five active labels across many musical genres: Concord Records, Fantasy Records, Fearless Records, Loma Vista Recordings and Rounder Records. Concord is also home to the #1 kids’ music brand, KIDZ BOP. The company’s historical labels are managed by its Craft Recordings team, and include such storied imprints as Fania, Fantasy, Independiente, Milestone, Musart, Nitro, Pablo, Prestige, Riverside, Savoy, Specialty, Stax, Telarc, Varèse Sarabande, Vee-Jay and Wind-up. Concord’s master recording portfolio contains more than 12,000 active albums and includes no less than 271 GRAMMY® winners (representing approximately 6.25% of all the GRAMMYs® ever awarded) and 400 gold, platinum, multi-platinum and diamond RIAA certifications across 213 titles. Concord Music Publishing: Concord Music Publishing is home to a diverse group of current composers and songwriters, who continually create important and commercially-successful new musical works. Concord Music Publishing is also home to Boosey & Hawkes, one of the world’s leading classical music publishers. Concord Music Publishing has a catalog of over 390,000 copyrighted works, spanning all musical genres and containing many of the world’s most celebrated compositions. Concord Theatricals: Concord Theatricals is comprised of Rodgers & Hammerstein, Tams-Witmark and Samuel French and is one of the largest theatrical licensing houses in the world. Concord Theatricals is the only firm that provides truly comprehensive services to the creators and producers of musical theatre under a single banner, including theatrical rights acquisition and licensing, music publishing, cast recordings and first-class production.